Instagram introduces stories, a secondary feed available only for 24 hours from the time of posting. A format copied from Snapchat, a platform whose signature feature is to view live stories from around the world and share it with your friends. Instagram is following a similar format letting users to share a series of moments and then customize them with text, drawings and emojis. Facebook have made repeated efforts to compete with the success of Snapchat, a younger start up which is gaining fast. Facebook-owned Instagram launched a clone of Snapchat Stories on Tuesday, 2nd August 2016. This newest update will share stories with your followers which will visible to them until it disappears after 24 hours. What are Instagram stories all about? 1. Post images, videos visible to your followers in a slideshow format for 24 hours. 2. Edit the images, draw and write on it. 3. Three tools to edit these images with your fingers: a pen, a highlighter and a neon pen. Text colors, borders and some simple color filters. 5. Add stories on Instagram with the new +icon on the top left hand corner of the screen. 6. Check who have seen your story by swiping upwards your own story. 7. Reply to stories with text messages which will appear on Instagram’s direct mail box. 8. Tap to go back to the news feed and swipe to go to the next story. 9. 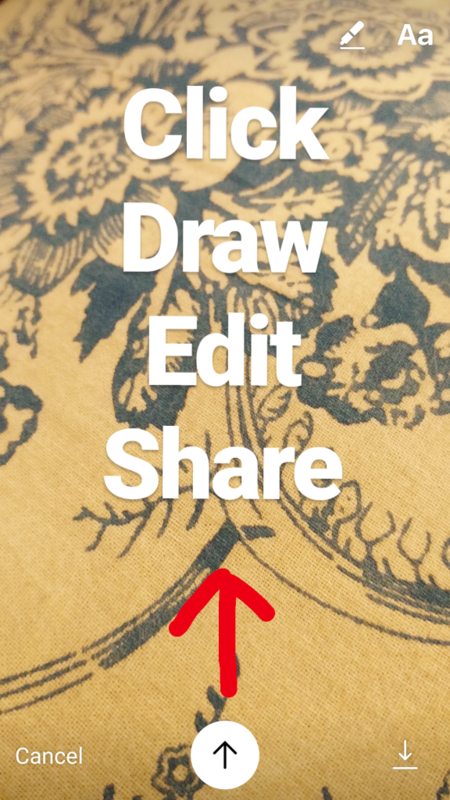 Promote any post of your story to your Instagram feed by swiping up and tapping the share button. 10. If your profile is public then your stories will also be public. Though you have an option of hiding the story from people you don’t want to see even if they follow you. Instagram and Snapchat are youth friendly and visually appealing platforms. They have their own selling point which the other platform didn’t have. What you could do on Snapchat, you couldn’t do it anywhere else. Filters on Instagram were their uniqueness on the platform. Following Celebrities, brands and the artistic element is Instagram’s appeal. The point here is will people want to use this new feature on Instagram which is the reason for Snapchat’s massive growth? The difference in using each platform shows the success of their innovation and creativity. Here is what the CEO of Instagram, Kevin Systrom told to TechCrunch on introducing similar feature as of Snapchat. What’s your take on this new feature of Instagram? Is it an advantage for the marketers to advertise/promote their brand or just a fun new addition of Instagram. We are yet to know the statistics on their usage value and we shall soon discover it. Yeah I got this update too. Snapchat has introduced the same feature years ago and that made them popular too. Instagram this feature may take the market of snapchat. Well as a user I am liking this new and its trending all over instagram.